From the 13th of April to the 12th of May 2016, SMartBe organised a second national pilot training activity to test and validate the R2E revised transnational unified curriculum: 7 modules, a total duration of 6,5 full-days equivalents, over a global period of 1 month. Compared to the first R2E training seminar in 2015, SMartBe tested 4 new modules: To develop and manage your project, Communication strategy, Cultural/intercultural aspects of international mobility and Working in contemporary societies. For this last training session, the Belgian organisation invited a trainer from CCC (the Italian R2E project partner), Pietro Gagliano. In exchange, a trainer from SMartBe, Jérôme Ramacker, went to Italy to give a training session around communication. 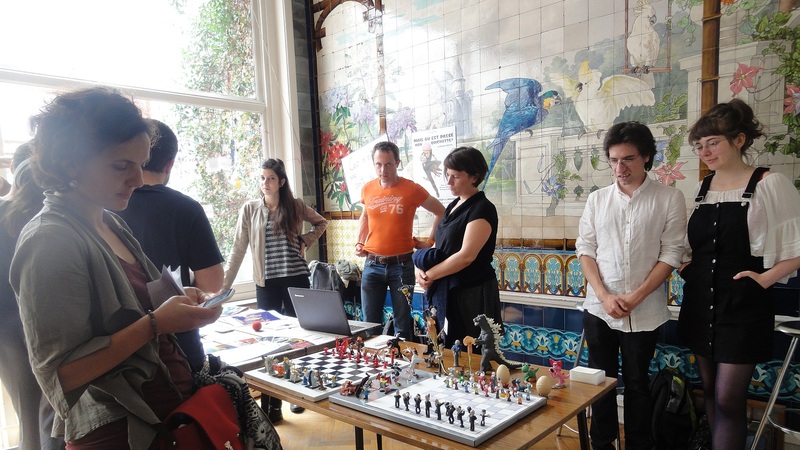 During this training activity, SMartBe also organised a Meet&Connect with an experienced street artist based in Brussels, Denis Meyers. Denis studied graphic design and typography at the National School of Visual Arts of La Cambre in Brussels. He shared his experience with the participants and answered their questions about his professional development. The others training modules in 2016 were already tested in 2015 but improved in 2016 based on the evaluation of the first seminar (adaptation of content, methodology, duration, etc.). The artistic disciplines represented were Performing Arts, Visual Arts and Audiovisual& Multimedia, and Books&press. According to the figures SMartBe have, among the 14 participants, 1 was between 20-24 years old; 4 between 25-29; 9 over 29 years. According to the evaluation forms, participants were very satisfied in general. Some new elements for improvement were suggested. Among them, the social-economical issues of our society could be further developed in connection with the place of the artist in society. And, for some Belgian participants, the module “Working in contemporary societies” should be less theoretical and could suggest more concrete actions to implement in connection with their artistic project. SMart is a non-profit organisation created in Belgium in 1998 which is developing itself in 8 European countries. SMart aims to simplify and support the professional paths of creative and cultural workers. Their principal goal is to help the self-employed to develop their own activities through a secure system.